We’re thrilled to announce that Launch Academy is a top-rated code school of 2016! Here at SwitchUp, we’ve released our list of best coding bootcamps worldwide based on alumni reviews and other factors like price, job support, and instructor quality. Launch Academy has enjoyed a lot of great feedback from alumni, and boasts 27 alumni reviews at 4.5 stars. “Everyday there is a reference back to something I learned at Launch Academy. The day to day workflow of working in a Ruby web stack is very similar to what I learned at LA. Our engineering team practices test driven development, another core competency of Launch. What else do alumni have to say about Launch Academy? 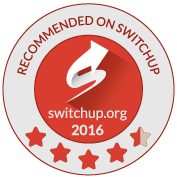 To learn more about coding bootcamps and leave a review of Launch Academy, visit SwitchUp.org.